‘Tis the season to eat, drink and be merry but it doesn’t mean we have to leave all our healthy habits behind until the New Year. We’ve found 5 simple, healthier cocktails that will keep everyone at your holiday happy hour merry and bright…and feeling their best! 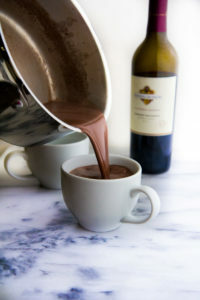 This boozy skinny hot chocolate from Fit Foodie Finds has only four easy ingredients – almond milk, pure maple syrup, cocoa powder and a hint of amaretto – and less than 100 calories! Now that’s what we call a merry must! Mulled wine is one of our favorite holiday traditions and this recipe from Gimme Some Oven does not disappoint! 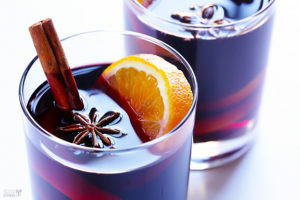 A good bottle of red wine, the perfect blend of warm holiday spices including cloves, cinnamon and star anise, and a kick of brandy help make the season extra bright. This next Christmas cocktail from Yeah…Imma Eat That combines two of our favorite things – red wine and dark chocolate – into one antioxidant rich treat. 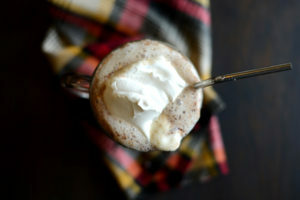 This one is decidedly decadent, but in a good way with only three flavor-filled ingredients. It’s the perfect thing to sip on while you sit by the fire waiting for Santa to arrive. This simple 5-ingredient rosemary gin fizz from Cookie and Kate has fresh winter flavors that pop and gets its hint of sweetness from natural honey instead of added sugar or soda. 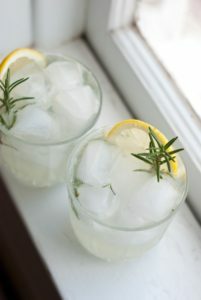 The sprig of rosemary garnish puts a festive spin on your fizz to make it extra special for the holidays! 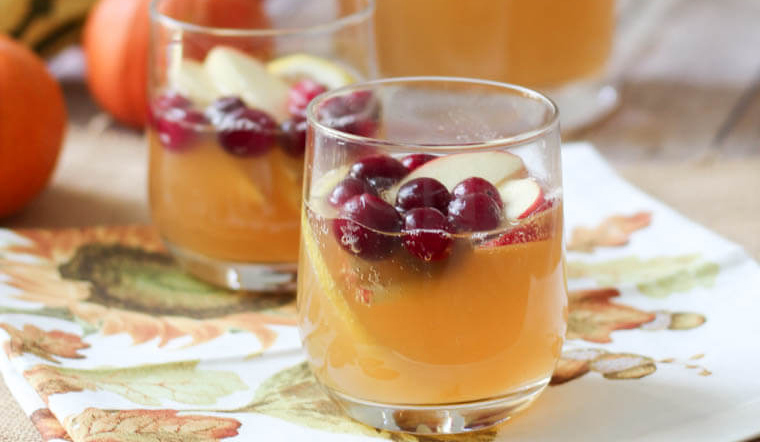 Finally, this apple and cranberry kombucha sangria from Abbey’s Kitchen is sure to add a healthy dose of yum to your holiday party! 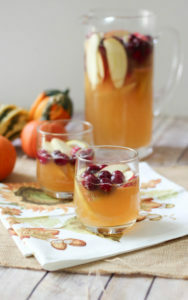 White wine, kombucha, apples, cranberries and a little lemon and your seasonal sangria is ready to go! Don’t forget to save us a glass…or two! Happy holidays from our Sagely family to yours!